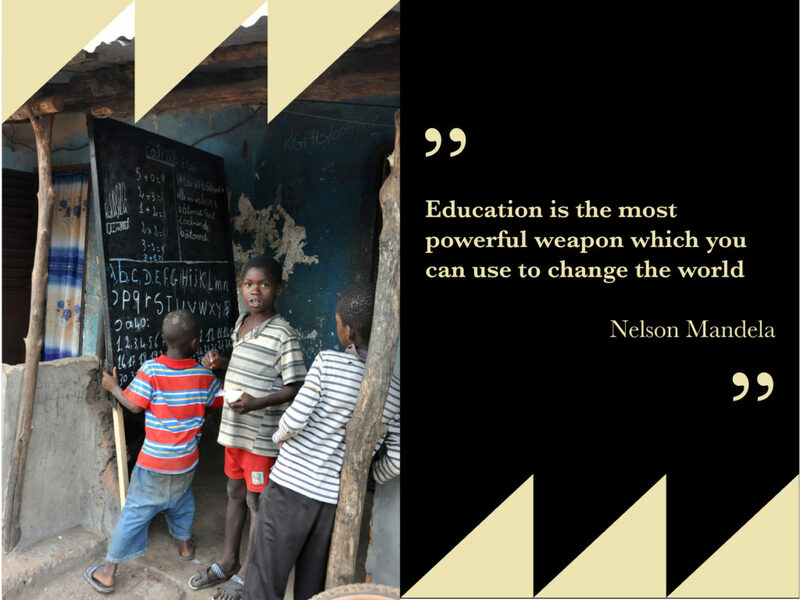 Help children from Conakry, the capital city of Guinea, learn how to read and write. 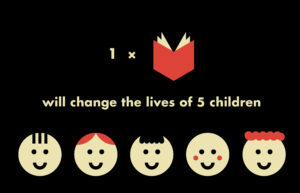 Donate a book that will change somebody’s world! Some books can change everything and everything begins from them. We have grown used to them, but elsewhere in the world they open doors which have seemed to be locked forever. In Guinea, they open the doors to hope. These special books are textbooks that will be used by Guinean children to learn how to read and write. This is the first step to a whole new life. A step which they will make together with us. Although education in Guinea is free and obligatory only 41% of Guineans can read and write (52% of men and just 30% of women), only around 40% of Guinean children will ever attend school. Why? Their parents can’t afford to pay for school equipment, books or bus fares. When faced with children’s education and food for the family – they choose the latter. One of such children is Alfaomar, a 10-year-old who lived his entire childhood on the streets. He spent the days begging for money to avoid punishment from his older brother, while at night he had to fight for a place to sleep among other beggars in the local market. When he was brought to an orphanage, he started going to school. It turned out that he is a very intelligent and quick learner. In just two months he learned to communicate in French. Although he initially fell behind his classmates, he has managed to catch up with them. He doesn’t want to return to the streets. He wants to keep learning so that he doesn’t ever have to wander in the streets, beg for money or run away. 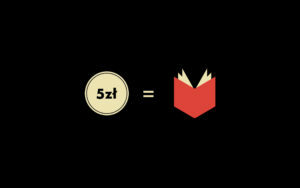 One textbook costs just five zlotys, and it can be shared by five students, who will use it to learn to read and write. The title of the World Book Capital is leaving Wrocław and moving to Conakry, the capital city of Guinea. 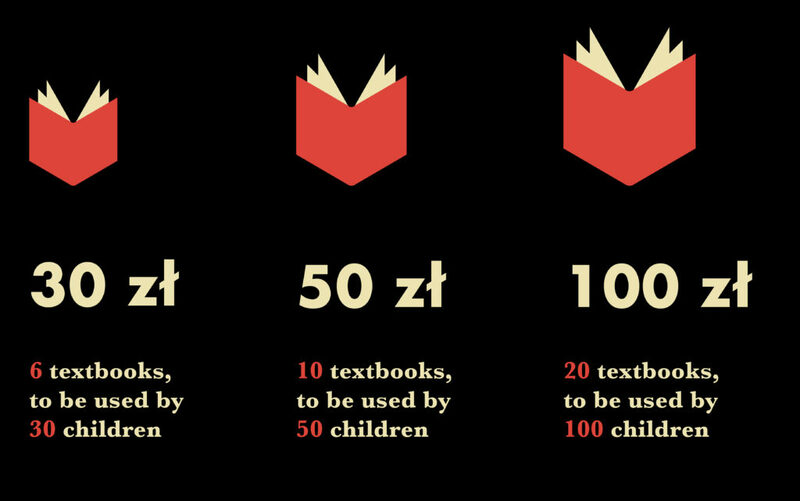 Alongside the title, Wrocław dwellers want to donate 100,000 textbooks for learning to read and write. When Wrocław became the UNESCO World Book Capital on 23 April, 2016, Mayor of Wrocław Rafał Dutkiewicz and UNESCO’s Deputy-Secretary General Eric Falt declared that Wrocław in cooperation with UNESCO would donate 100,000 textbooks to children of Conakry. This decision was made for several reasons. Guinea is a country with one of the highest illiteracy rates in the world. Its citizens use over a dozen tribal languages. French, the official language of the country which is used to communicate with all the citizens, cannot be learnt at home, only at school. Finally, Guinea has recently suffered an epidemic of ebola and has not yet overcome the trauma. This fact also influenced the decision to present Conakry with the title of UNESCO World Book Capital, which was stressed by UNESCO Secretary-General Irina Bokova when she talked of symbolically lifting the “ebola curse” from Guinea. Wrocław will donate the textbooks in a systemic way, in cooperation with the Guinean Ministry of Education and Fighting Illiteracy. These will be 100,000 copies of a certified French language textbook for grade one students in Conakry. The original textbook will also include a dozen Polish nursery rhymes translated into French. Because a new National Library will soon open in Conakry and the existing collection is very small, Wrocław as the UNESCO World Book Capital 2016 will appeal to the inhabitants of the city, the inhabitants of cities belonging to the Coalition of Cities of European Capital of Culture Wrocław 2016, the inhabitants of Wrocław’s twin city of Lille, the inhabitants of Mons – European Capital of Culture 2015, and, with the assistance of the university chaplaincy service, to students in Paris, to donate books in French in order to create the collection of the new National Library of Guinea in Conakry. We are also working on adapting Polish software so that it can be used to catalogue the collection of the new library. 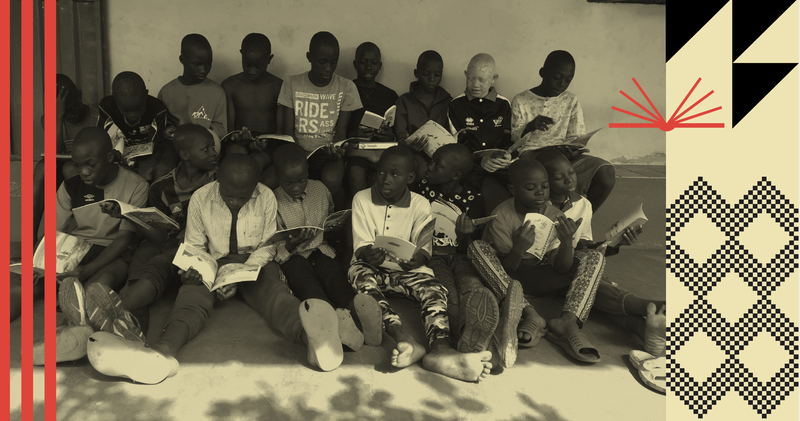 Let’s together provide literary works to reading rooms in Conakry! The competition of Wrocław students for the design of the textbook for children in Conakry, Guinea, has been adjudicated! In February 2017, the city of Wrocław and the Art Transparent Foundation announced a competition of Wrocław students for the design of the textbook for children in Conakry, Guinea. The competition was open to Wrocław primary school students in grades 4-6 as well as students of middle and secondary schools. A total of 774 votes were cast to choose the best of the 66 submitted designs. The winning design was prepared by a student of School and Preschool Complex no. 19 in Januszowicka Street. 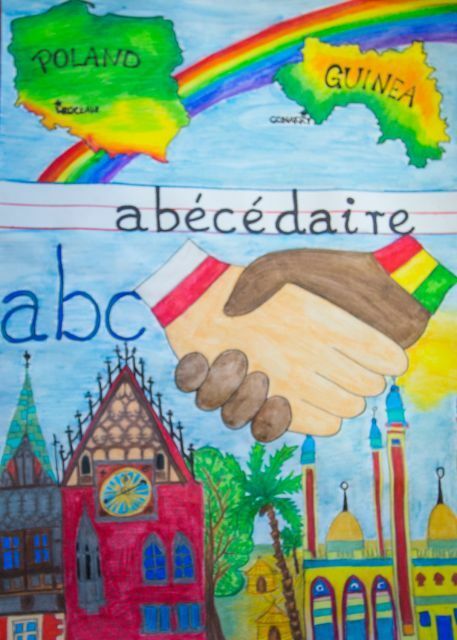 The winning design shows maps of Poland and Guinea, a handshake of solidarity of people from the two countries, letters (symbolising the textbook) and the Town Hall in Wrocław (one of its most recognisable symbols). It will be printed on the covers of 100,000 textbooks that will be used by children in Africa to learn to read and write. The books will be printed as a result of the action “Books for Guinea”, which is organised by the city of Wrocław and the Art Transparent Foundation. The collection of money needed to provide Guinean children with the textbooks is still in progress. The books will be sent to Conakry, the capital of Guinea, which will become the UNESCO World Book Capital after Wrocław. The transfer of the title will take place on 23 April while the textbooks will be given to children in the autumn, when the new school year begins. The students who designed the three covers that received the greatest number of votes will be presented with all-day family tickets to the aquapark in Wrocław. AKME Z. WIŚNIEWSKI SP. Z O.O. On 15 September we will end the fundraising action Books for Guinea. 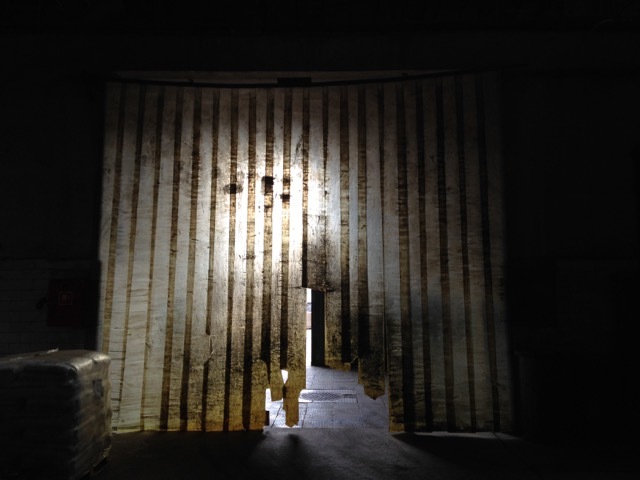 To celebrate the end of the action, the Art Transparent Foundation has planned a series of artistic events in September. 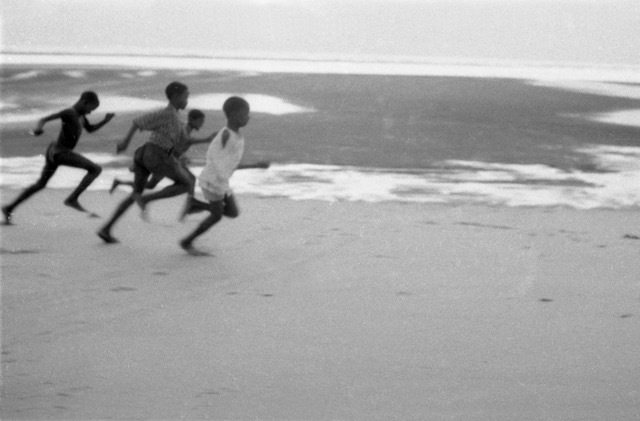 A trip to Guinea will move us across geographical spaces, but also across time. 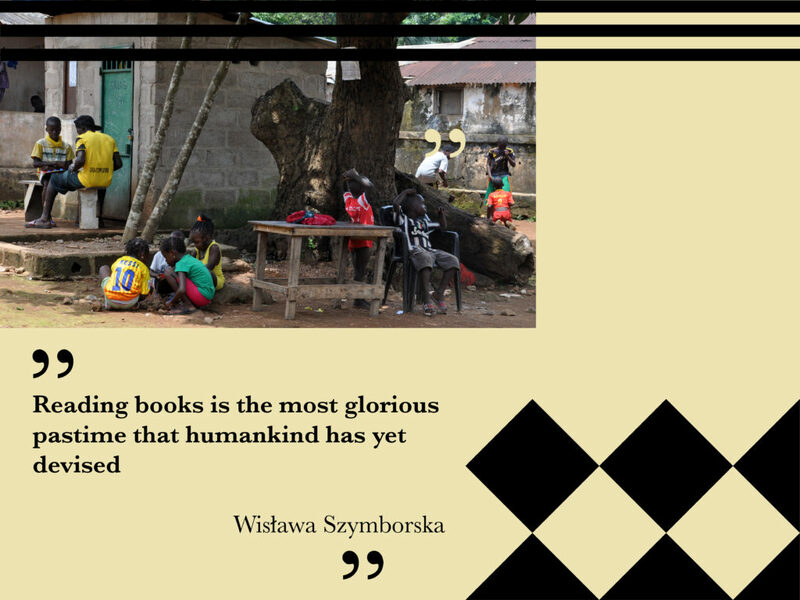 It turns out that Wrocław and Conakry share not only the title of UNESCO World Book Capital or the desire to help children through the “Books for Guinea” action, but also the story of Zbyszek Cybulski, Hanka Bielicka, Stanisław Lenartowicz and Leon Podsiadły. After regaining independence Guinea initiated intensive intellectual, scientific and economic exchange with countries of the former Eastern Bloc, including Poland. In the 1960s and 1970s Conakry was a destination for many Polish artists, lecturers and writers. It became the setting for Arkady Fiedler’s novel Nowa przygoda Gwinea (New adventure Guinea) and Stanisław Lenartowicz’s film Full Ahead. The exhibition titled Bel Air will transport us back to the past with the help of extraordinary works by Professor Leon Podsiadły, a doyen of Wrocław sculpture. It will feature sculptures and graphics inspired by his sojourn in Guinea. We will have an opportunity to look at this special country through the experiences of the artist and his family. Some of the presented family mementoes and artifacts from Africa have never been shown before. 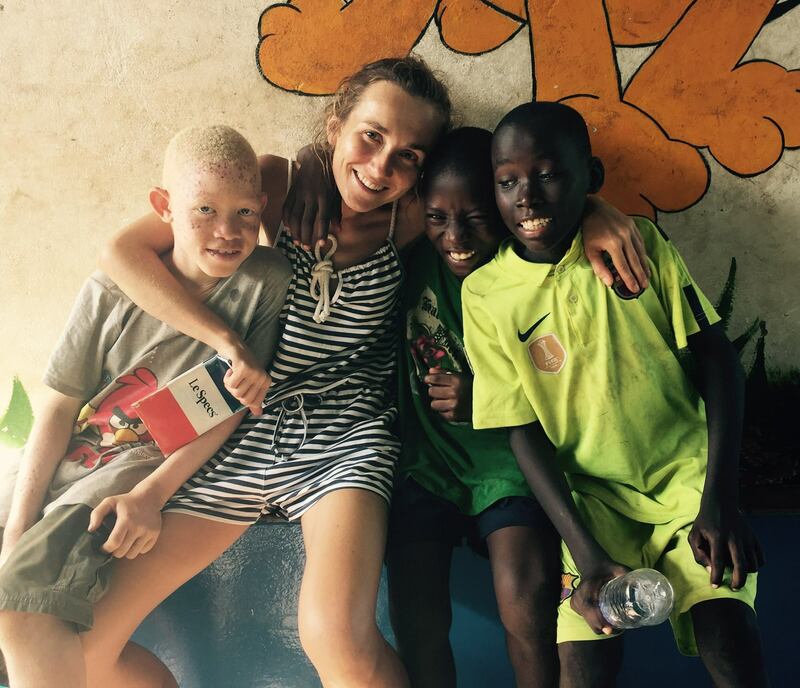 The story will be made complete with a conversation between father and daughter, Magda Podsiadły, who returned to Conakry after many years to find her father’s pupils and visit their old home in Guinea. Born in 1932 in France, he is a sculptor, painter and drawer. From 1952 to 1956 he studied at the State Higher School of Fine Arts in Wrocław. Professor of art schools in Conakry (Guinea), Wrocław and Opole. Head of the Sculpture Studio (1980–1986), Dean of the Department of Painting, Graphics and Sculpture of the State Higher School of Fine Arts in Wrocław (1980–1986). A member and participant of exhibitions of Grupa Wrocławska. Laureate of many prizes in the field of sculpture. A teacher of several generations of sculptors in Poland and abroad. Born in Wrocław, she is the daughter of painter Krystyna Michałowska-Podsiadły and sculptor Prof. Leon Podsiadły. A former cultural journalist for Gazeta Wyborcza in Wrocław (from 1990 to 2012, she co-created the cultural section and headed it for almost a decade). She spent her childhood in West Africa (Conakry, Guinea). She graduated in Polish Philology from the University of Wrocław. Her interests include the theatre and cinematography of francophone Africa (she had her texts published in Didaskalia, Kino, Format, Notatnik Teatralny; she cooperates with Brave Festival). Apart from journalism, she is interested in reportage photography. 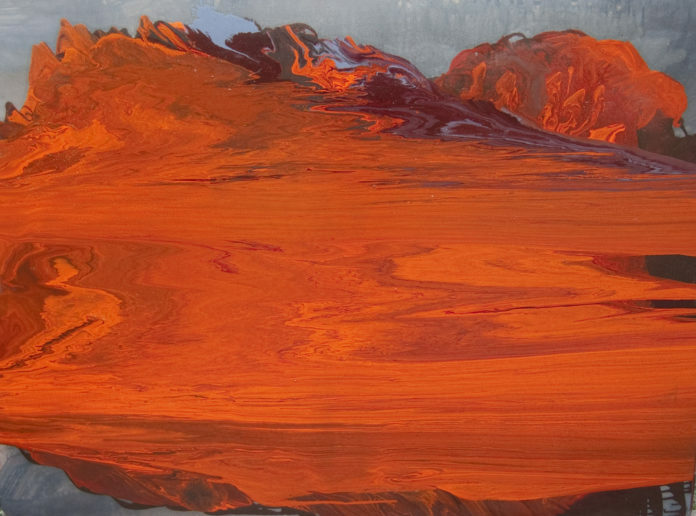 Her works have been shown in over a dozen individual exhibitions, in venues such as BWA Awangarda Gallery in Wrocław, the Ethnographic Museum in Wrocław and the National Museum in Szczecin. All of them were devoted to everyday life of people living in Africa today. Guinea is a mosaic full of contrasts. What we see at a glance is just poverty, and sometimes true destitution. But when we dig deeper, we notice that the country is an important source of minerals, which has experienced an economic boom in recent years. However, it has also covered Conakry, the capital of Guinea, with heaps of rubbish. Its opposite can be found in the interior, the wooded uplands with breathtaking nature and varied flora. Guinea is culturally and ethnically rich, but plagued by illiteracy, idleness and backwardness; there is attachment to traditional values and joie de vivre, and on the other hand – broken laws and primitive customs, and the hardship of life… This variety and diversity of Guinea on many levels and in different aspects can be enchanting, intriguing and compelling us to find out more about it, discover and taste its hidden potential. Karolina Łągiewka is an economist by education, with over eight years of experience in public administration, including time spent working for the European Commission in the area of public health. For over five years she has been passionately involved in development aid in the field of global health and using new technologies in devising health policies. She has worked as a volunteer, both on the spot and remotely, on preparing and implementing project in Nyanza province, Kenya, and since April 2015 she has supervised EU projects in Guinea-Conakry. In 2015 she co-founded Wakilare, a socially responsible business helping the disabled and homeless in the streets of Conakry. A crazy comedy in which fiction is mixed up with reality. A pastiche of common genres and motifs found in popular cinematography, mocking the ubiquitous stereotypes and the people who believe in them. The film was directed by Stanisław Lenartowicz, who for years was underappreciated and pushed into the background, while today he is considered a master of ambience and one of the greatest individualities of Polish cinematography. Full Ahead was one of the first Polish films made in the genuine settings of foreign countries – in Finland, the Canary Islands and port cities in West Africa (including Conakry, Guinea). The scenes set on board a ship were shot on a commercial cruise aboard the M/S Kraków, a freighter belonging to Polish Steamship Company. 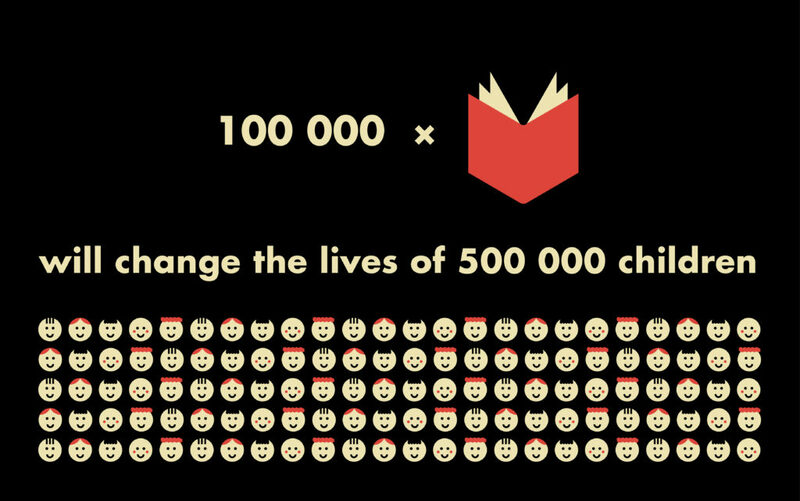 Thanks to the action “Books for Guinea” we have managed to raise PLN 168,573.05. Over 500 people and institutions from all over Poland have contributed to this huge amount. It will enable us to purchase 33,714 coursebooks. In order to fulfil our objective and buy 100,000 books, the rest of the money will be provided by UNESCO, World Capital of Culture Sharjah 2019 (EUR 30,000 in total) and the municipality of Wrocław. Already this autumn children in Conakry will be using brand new coursebooks. THE ACTION “BOOKS FOR GUINEA” HAS COME TO AN END!